In the past years Yoga has become a synonym for Mind/Body fitness, Barre classes have skyrocketed to fame among women with the determination of a prima ballerina, Crossfit has created a die-hard community like no other and HIIT has been getting all the praise from researchers and doctors. After being a passionate Pilates advocate for many years I came to the point of rebellion against everything I knew and loved. A couple of years ago I decided to stop teaching and practicing Pilates. I needed a fresh and simple way to exercise and to transform my body. But honestly, even more than that, I was so tired of the Classical vs Contemporary rivalry among my colleagues that I simply had to get out of the Pilates world. Here I was, not doing Pilates. The Reformer in my home studio was collecting dust and getting only occasional loving visits from my cat who loved to sleep on the headrest. I was rebelling against Pilates. I expected to feel bad and fall apart but in fact my body was loving the new workouts and I loved the changes in the way I looked and felt. So were years of my Pilates training and thousands of Pilates teacher training dollars wasted in vain? Fast forward several years, I just gave birth to my first set of twins and was facing a huge issue. After being a fitness junkie for 7 years I could not do a single sit-up, even 6 months postpartum! I discovered that my precious twin girls have stretched my linea alba so much that I had DRA (Diastasis Recti Abdominis) with almost 4 finger separation. That’s when my Pilates love really kicked in. I knew that if there had been one workout that could help me regain core strength, Pilates would have been it. Fast forward a couple more years, and here I was delivering my second set of twins (double blessings, right?) I knew that regaining my abdominal wall would not be a stroll in the park and was equipped to fight for it with the help of Pilates. Today (almost 5 years after my younger twins were born) I am still working on my core strength however most people would never know that core is my weakness and that I still have a 3 finger DRA separation. Coming back to my Pilates rebellion, I realized that Pilates was in everything that I was doing. None of the workouts that I tried were able to target my core muscles as much as Pilates ever did so subconsciously (I guess!) I was using my Pilates technique during each and every burpee, push-up and handstand. In my opinion, nothing can compare to Pilates in its ability to build core strength and improve alignment in the body. Maybe Pilates will not have exclusive rights on your workout schedule but it definitely should have a spot among all the other fun things that you enjoy doing. P.S. There is always room for growth and improvement in Pilates. This is me trying my first Candlestick on the Trapeze Table (not perfect, but we all have to start somewhere;-). I could definitely appreciate the upper body strength that I built with my HIIT workouts and pushups but Pilates definitely provided the core power needed for this move. Candlestick – Pilates love reignited! I really like the honesty in this piece. I am a firm believer in cross training. I do it all, and love it all. Thanks. Yes! to feeling your Pilates work in every other workout. I’d add to that every task around the house, sitting at your desk and in your car, even a leisurely stroll or quick paced walk. Pilates impacts everything you do in your daily life. I can’t do without it. Glad you came to the same conclusion and shared it here. I love, love, love this article! It is so amazing just how Pilates helps to support our every day activities! Thank you so much for sharing your experience!! I feel like I could have written this article. I couldn’t agree more. I too do all the crazy stuff incorporating my Pilates training. 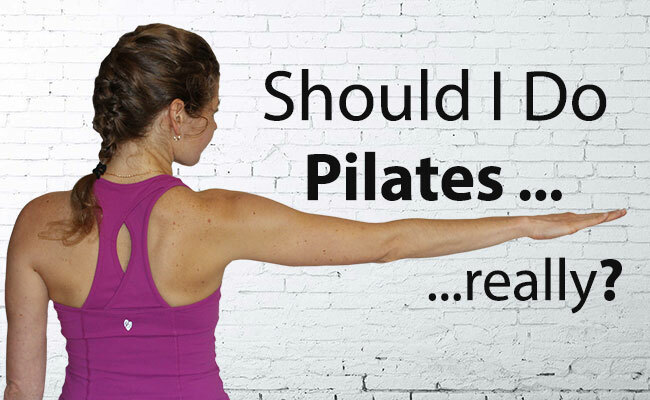 I never realized until I started Pilates eight years ago, and since have become an instructor, how much Pilates is the basis needed in functional training, TRX, running, HIIT, etc. Once I infused my Pilates into these areas, wow, what a difference! I agree with all of the above. I take Pilates to all my other workouts and I teach my clients to do the same. Many years ago I suffered a herniated disc, but that was before I even heard about Pilates, let alone practiced the method. Now nearly 70, I’m not into the running and heavy cardio – and anyway, I was reading that the latest info is that free weights workout reduces your weight better than pounding the pavements. i am living in a hot country and swimming is my other sport and using the Pilates alignment and 2 way stretch takes it to another level. Thank you for putting into words what so many of us have felt and discovered in our own bodies. Thank you for voicing this! I am still a teacher of Pilates and have always encouraged everyone to use Pilates to enable them to do all the other things. A former professional dancer, about 3 years ago I was introduced to crossfit and olympic weight lifting, I love how Pilates balances these workouts. We need to have our eyes wide open to respect other disciplines and teach our clients to do all these with their “Pilates head on”. That’s their education, their foundation!! This is truly inspirational to me. After delivering two sets of twins–you can do anything! I am not sure that I can do anything but Pilates definitely helps me do more than I thought I was capable of 😉 Thanks for the comment! So recognizable all is said. I started my teaching career in aerobics. 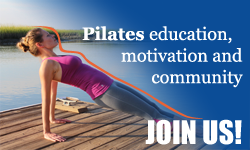 Now in Pilates I can help people moving better and take the time to teach clients being more aware of what and why they are doing Pilatestraining.